The PEXESAT32 2 Port PCI Express 6Gbps eSATA Controller Card offers simple connectivity between a host computer and eSATA 3.0 devices - a cost-effective solution for connecting high-speed storage, such as High RPM Hard Drives and Solid State Drives (SSD), which in turn allows for easier data backups and archiving. With full support for SATA 3.0 hard drives and data transfer speeds of up to 6 Gbps, the adapter card features a native PCI Express single chipset that provides enhanced compatibility, reliability and performance for external SATA 600 MB/s storage needs. 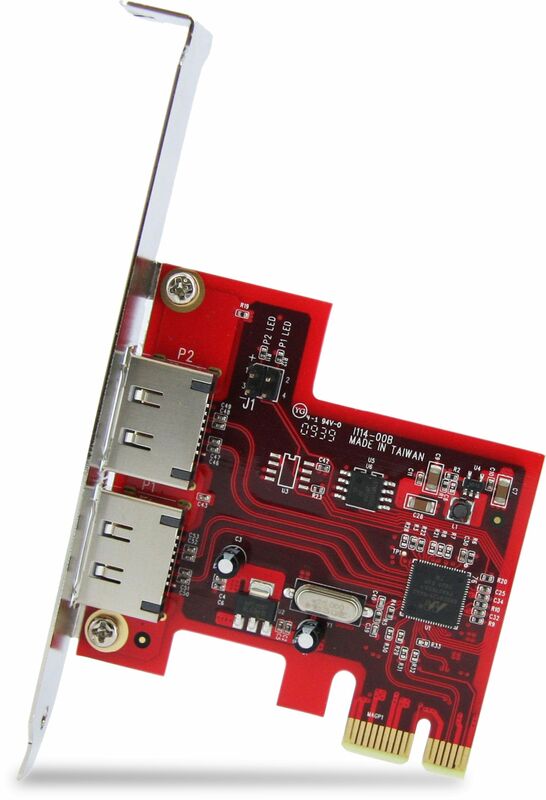 A dual profile solution, the eSATA controller card includes a low profile/half-height bracket for installation in slimline or small form factor computer cases. 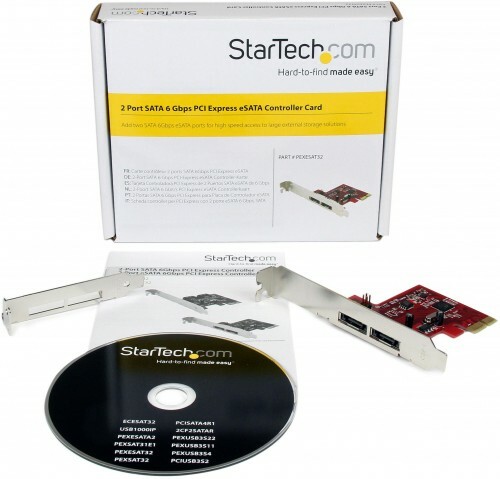 The controller card is backward compatible with SATA 2.0 devices, providing the versatility to use older storage, and features support for RAID 0 and 1 modes as well as port multiplier capability with command-based and FIS-based switching for connecting multiple external hard drives to a host PC through a single external SATA connection.